Get the most for your well-earned coin with the all-out performance and premium finishes of the men's Burton Covert Insulated Pant. THERMOLITE insulation featuring 40% recycled content combines with our exclusive thermo-regulating Living Lining for the ultimate in adaptable warmth and consistent comfort. Select colorways are bluesign approved for reduced impact on both people and the planet. 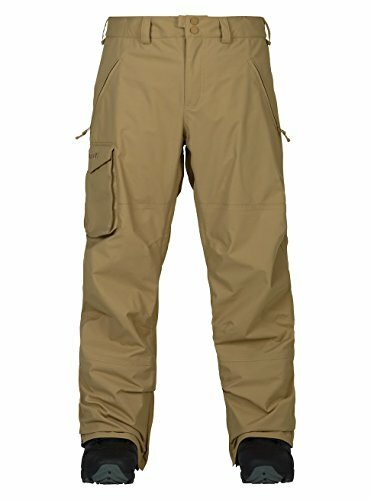 Available with or without insulation, the Covert Pant includes all the necessities like full knee-to-knee Test-I-Cool venting and chairlift-friendly cargo pockets with internal stash zones.